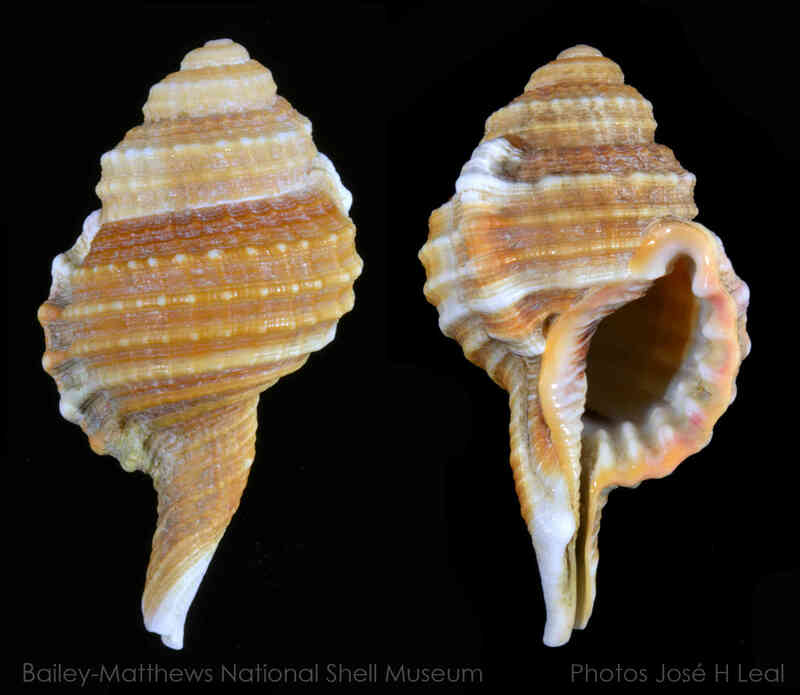 Shell size to 65 mm; very distinctive shell with solid, globular last whorl, square whorl shoulders, and relatively long siphonal canal. Usually with only one varix other than the thickened lip. Well-preserved shells have the outer lip and parietal wall (region opposite the outer lip) colored peach. Parietal wall with a dark-brown spot. The shell in the main picture was found in October 2016 by Gary Tucker on 0.5 m water on the eastern end of Sanibel. 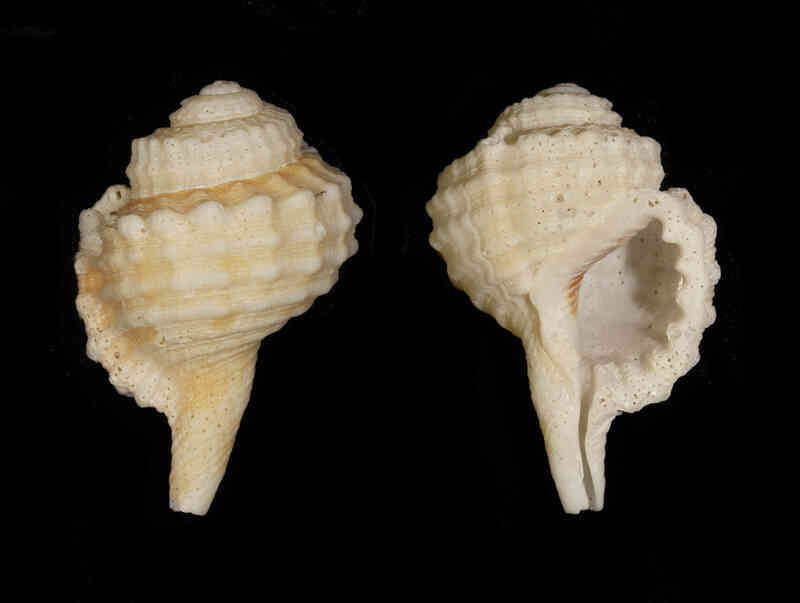 The supplementary image is of a shell found in February 2014 by Jeanne Risher on Kice Island. There are other records from Sanibel.